Kyla Korvne ’15, Jessie Meredith ’17 and Cayman Mitchell ’14 (left to right), Pace University New York City Model UN students visiting Congress while at the 2013 National Model UN conference in Washington DC. This year’s National Model United Nations conference in Washington DC was an exciting and eye-opening experience. I discovered a lot about diplomacy – and myself. The conference threw in my face a bona fide fact of life: no matter what you are doing or where you are, there will always be people who you do not like, cannot stand, or feel like you cannot work with. But that was the great thing about this experience—it pushed me to figure out not only what kind of people I work best with and I you function in a group, but how also how to work with all different kinds of people. I have a deeper respect for diplomats and policymakers now that I have experienced Model UN. I more fully realize the nuances of how difficult it is to get consensus on anything and how frustrating that can be. More than anything, Model UN teaches you how to work with people; what kind of people you work best with, what role you play in a group setting and how to work with every kind of person imaginable. I also learned much in Model UN this semester about myself. One of the biggest lessons from this class was how to write in a completely new way. I had never written any kind of policy or position paper and I am happy to have that skill in my repertoire now. I also have a more clear idea of how I can best fit into the world of international relations in my future. I am looking forward to semesters of Model UN classes and conferences to come! 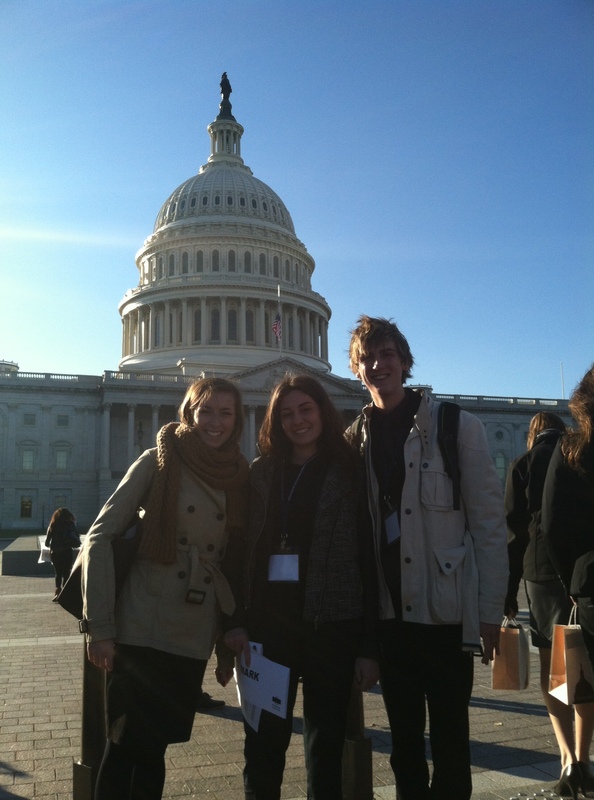 To read more about Pace University’s participation in the 2013 Model UN conference in Washington DC, click here. – Kyla Korvne ’15, who, along with her delegation partner Diomary Millares ’15, represented Kenya in a simulation of the UN Environment Programme. The Pace students representing Kenya received an “Honorable Mention” award from conference for their excellent work. This entry was posted in Student Delegate Blogs and tagged Diomary Millares, diplomacy, international relations, Kenya, Kyla Korvne, Model UN, Model United Nations, MUN, National Model UN, National Model United Nations, NMUN, Pace University, policymaking, UNEP, Washington DC. Bookmark the permalink.